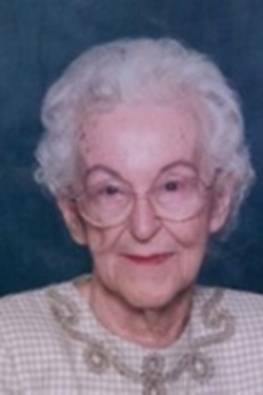 Lucille Mehrkam, was born October 31, 1923 in Houston, TX and passed away Saturday, October 29, 2011. She is survived by son, Thomas Owen Mehrkam and his wife Patricia; daughter, Sandy Andrew and her husband Marvin Rincker; grandson, Loren C. Andrew; granddaughter, Celine-Marie Webb; great grandchildren, Ryan Calvin and McKenzie Lynn Andrew; and her brother, Jim Clepper and wife Marilyn. Visitation and funeral services will be held at Garden Oaks Baptist Church, 3206 N Shepherd Dr. Houston, TX 77018; visitation will be Tuesday, November 1, 2011 from 12:00 pm- 1:00 pm. ; funeral services to follow at 1:00 pm. Internment to follow at Brookside Cemetery. In lieu of flowers, please make donations to Alzheimer's Associations, American Hospice or Interfaith Care Partners. AAFA NOTES: SSDI records confirm the birth and death dates of Lucille C. Mehrkam (SS# issued in TX), last residence not listed. Lucille’s first name was Violet, but she never used it. Lucille Mehrkam was the second person I heard from after I began my Alford adventure in 1982, and she remained with us to the end. For years she was my closest associate, and later one of my closest associates. Within a month of having made contact she mailed more Alford data, and the names and addresses of more folks with an Alford interest for me to contact, than any other person over the last thirty years. I can honestly say, and have pretty good proof to back it up, that were it not for her early contribution of data and information I probably would never have begun to publish About Alfords. Consequently it is probable that the AAFA would never have been created. We communicated by phone, letters, and email and she continued to write even after her macular degeneration made it next to impossible to read or write. The Alford community will miss Lucille, but thanks to her kind and generous nature, her Alford information will live on. Her Alford lineage, from her grandmother: Margaret Grace 1877 TX3, John Peachman 1841 AL4, Willliam B. 1808 SC5.